I'm sure some have thought of this already but what teams have people theorycrafted with C3PO in the sith raid? Only one I've come up with so far is adding him with JTR team in P1. He and R2 would be able to hit double expose on every basic and R2 could also hit double expose on C3's special which would feed RT more TM. Also, everyone with 3 translations would see their cooldowns dwindle at a faster rate so specials could be used more which means Bb8's ID cooldown will drop at a faster rate. Lastly, R2 would probably do quite a bit more damage with the following bonuses for each translation: 10% crit dmg, 10% defense pen, and 10% potency. I'm curious if he can make murder bears good in the raid. Now that we all have at least 4 7 star ewoks to put in with him. The only problem there is, his Rebel tag basic Exposes won’t have the leader benefit of being irresistible like the ones from JTR lead, so they will rarely land on Nihilus unless it is the first or second hit after he takes a turn. You could still benefit from cranking up the Exposes on the adds to take turns faster, but even with the mass attack calls I’m not sure he will add enough to replace (probably) scavenger Rey. I’m thinking he will see more use in P2, since he can reduce the amount of counters Sion is throwing out, who the optimal line up for that is though... I’m not sure yet. Rebel tag means he won’t replace anyone in machine gun Leia lineup, but he may be able to go in for Hermit Yoda in beast mode/Kenobi swamp lines. Or, as popularly theorized, he really might make those murder bears tick. I just did a test run with him at G8 and the group did about 6% damage in P1. And that was despite losing RT when DN still had 9 turns left. C3 was actually hitting confuse as well as some exposes. If C3 has maxed translate then he gets +30% potency on top of whatever he has for mods. And if Bb8 has inflicted tenacity down then that makes DN more vulnerable. But the most notable bonus was how often JTR was getting to use her specials. My RT is only G11 so I'd be interested to see how much more damage they could have done had I kept him alive. I'm not sure if he qualifies as a definite replacement, but he's definitely got potential. A lot of people are getting an extra bonus to their score. Someone normally scoring 6% getting 10% was one in my guild I've also heard of someone with a 6.4 million pb doing 7.6 million. Both of those were undergeared c3p0 and no zetas. I'm not surprised. It's almost smarter not to use C3's special if JTR has 3 translates because you'd prefer she get the cooldown bonus that comes with his basic. Good to hear. Mine isn't geared but we don't have any raids going fir awhile yet so there's time. I did max his abilities minus zetas though. I still want to see how he does with murder bears though. The total increase may be more there. I'm already in the process of gearing vistas to add to my jtr team fir big dmg. It may be best to use vistas with jtr and 3PO with another team. Though if lucky enough you can use 3PO more than once. Most obvious benefits from C3PO will get GMY at p2, under Bast or Revan lead. Yoda is part of Galactic Republic, so he will end with +40% armor pen bonus, and C3PO with 3 stacks of Translation will reduce GMY cooldowns, making him use his 3rd special that brings most damage more often, not mention that GMY will get +15 crit chance, that will help land crits more often too. I see next team - Bast lead, GK, GMY, Hoda and C3PO. Why not Ezra instead of Hoda? Well, Hoda buff is important too, and honestly, Ezra dont deal that much damage than GMY. 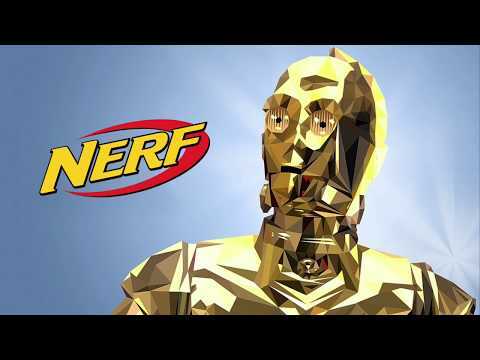 C3PO will reduce Hoda cooldowns too, so Hoda will use his mass assisst more often, plus he will recover protection more often, I believe that will brings more benefit to team than Ezra. I dunno, Ezra can do like 100k on a crit with flourish, plus he calls GMY to speed them both up. I think 3po would be more likely to replace GK, since a tank isn’t as necessary with all the foresight. hoda and 3po cant both escape if they are on the same team, though. might be better to keep them apart for multiple uses. 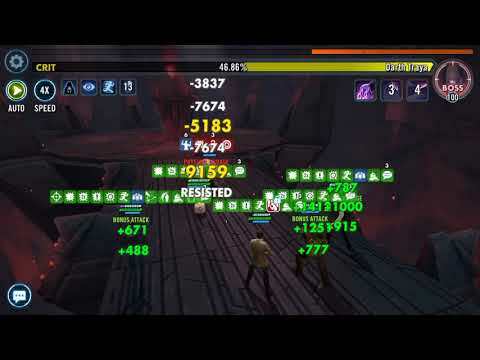 7.5M in heroic phase 1, with C3PO replacing Scav Rey from the classic JTR team. That was first attempt, no RNG chasing. I hate that we generally leave this sort of thing up to the minds of McMole, Nukin, Skelturix, and the like. These are not huge, but some ideas are that he could be used to reduce Aurra Sing's cooldown so she's doing her massive hit every other turn instead of every 4th. ROLO's big attack could also happen more often. Thrawn would easily be fracturing/tm swapping each turn. Of course you can't really combine more than one non-synergistic team member and expect this to still happen. Any replacements for chewie? CLS? Good to hear, im so sick of this raid it's about time they released toons that are able to solo phases. It's such a huge waste of time. Here's what I was able to do in tier 6 phase 2, both hermit and 3PO escaped at the same time at the end of battle. My guild mate also posted 9M running jtr with 3PO today and then there's autos popping up on reddit. Leia works. theoretically any rebel should but the multiattack and the assisting from guard is helpful. It will be nerfed though. There's no direct correlation you can draw between hstr and t6. The changes in the tier bump may result in a certain team not work anymore. i.e. imperials was my fav squad t6, but they only pull a bit more than 1m at hstr. in the end Hstr top spots vary around 15m-25m in top 3, so things except big score squads makes little sense developing for the purpose. Still good to have a slight edge though. They can already do that without 3p0. 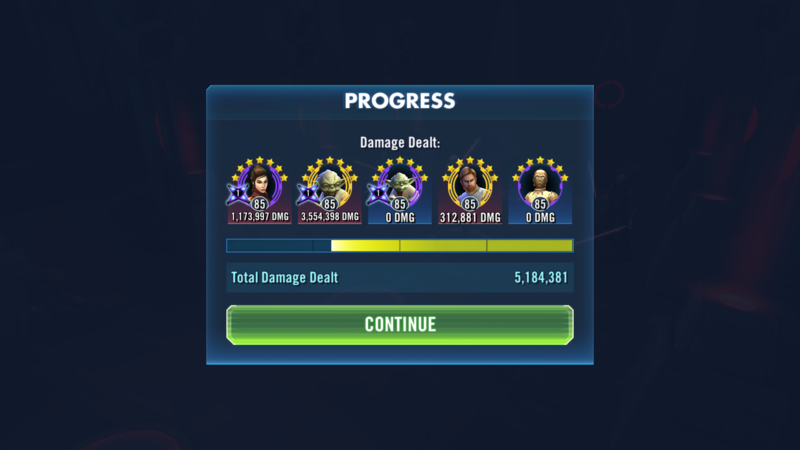 Top Ewok squads are clearing 4 mil with c3p0 and pushing 5. 2-3 mil is easy. That is G12 fully zetad. For me , I could get 15 mil in p2 from Revan and Ewoks alone. On C3 inflicting confuse and expose, he can bring 160% more potency, and also potency up. Potency up from his skill (which is 50% potency, I believe), and then 10% base for Cyborg. Assuming the team is at full Translation- team of 5, 3 stacks each, 10% per stack- 5 * 3 * 10% = 150%. Add the 10% base. And the potency up- 210% potency. I'm reading 65% potency from swgoh.gg, so it's 275% + mods. Enough to inflict some debuffs on raid bosses?